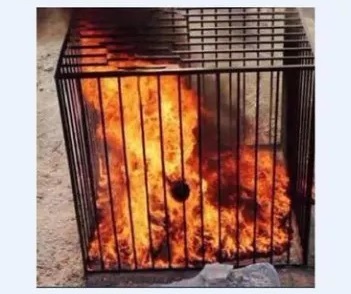 ISIS burned 12 people alive in a cage including a family of four. The Iraqis were trying to flee the Islamic State. ISIS thugs have burned 12 people alive including a family of four after accusing them of trying to flee from an Iraqi city they control. Extremists forced the civilians into cages and doused them with oil before setting them alight in the city of Hawija in Kirkuk Province, northern Iraq. The victims were accused of trying to escape to nearby Kirkuk city, which is under government control. A source told al-Sumeiryeh news that ISIS, on the retreat in Iraq, caught the civilians as they made their way towards the al-Elm region. 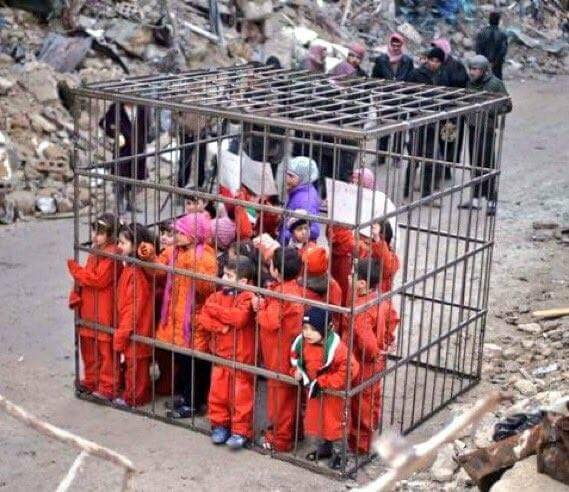 Their hands were tied and they were led to metal cages before fanatics poured oil on the prisoners and set them alight, the ‘well-placed’ source claimed. It’s not the first time they used this torture method.